The platform will emphasize building and producing for people’s sustainable futures and will bring together designers, architects, developers and producers to promote concrete solutions. 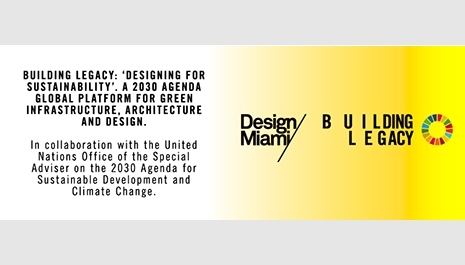 Working to support the 2030 Agenda for Sustainable Development, Building Legacy is a platform for the infrastructure, architecture and design communities. The program kicks off with the Building Legacy Opening Night Preview, by invitation only, and features four Building Legacy Talks at the fair.